Welcome to one of the most locally loved Louisville learning centers, the Frazier History Museum. This is the spot 'where the world meets Kentucky', a place where you can learn about everything that people from Kentucky are most proud of. This museum brings history to life through its various exhibits, artifacts, and daily live performances by various 'teaching artists'. Some examples of exhibits you will see include Geronimo's Bow and President Theodore Roosevelt's famous 'big stick'. 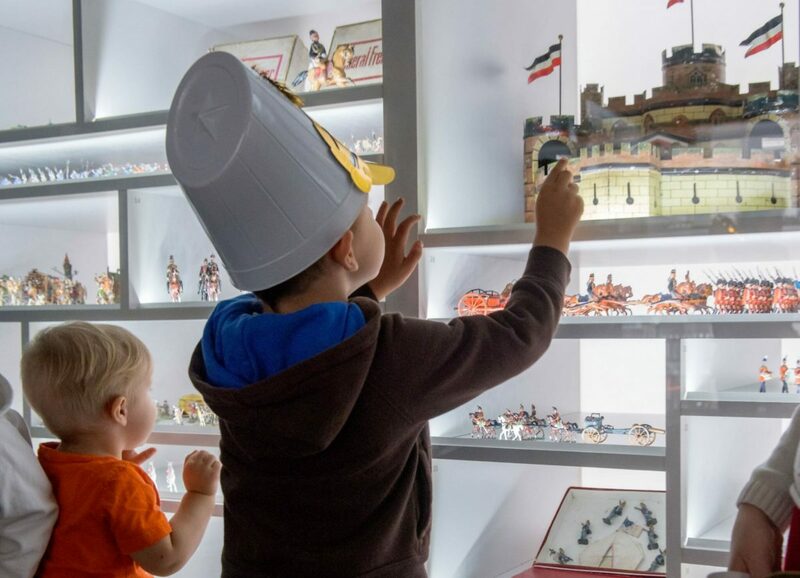 Learn all about some of the greatest explorers of the past with all the interactive educational exhibits, then step into more cultural experiences such as the amazing Stewart's Toy Soldier Gallery. There are several more interactive learning experiences available for your group as well, with various 2-3 hour learning sessions designed for different age groups within the k-12 range. History in Miniature is the lowest class to take, and History Mystery is the highest! Frazier is located along Museum Row within a state of the art 100,000 square foot building known as the Doeuhoefer Building. The structure is a 19th century Chicago commercial style, and inside you will find 3 full floors of exhibits, an educational center, Museum Store, theater space, and various event spaces for rent such as the popular rooftop garden space.